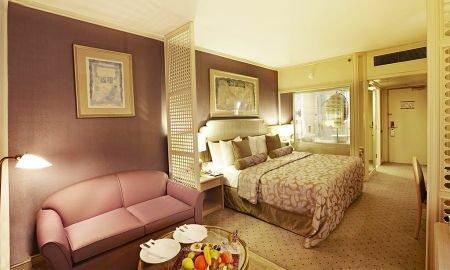 Set in exotic gardens overlooking the ocean and Taurus Mountains near Konyaaltı Beach, Rixos Downtown 5-star hotel winner of The Certificate of Environmentally Friendly Accomodation Establisment, offers 4 dining outlets, a lagoon-style pool and free shuttle bus to the beautiful beaches. 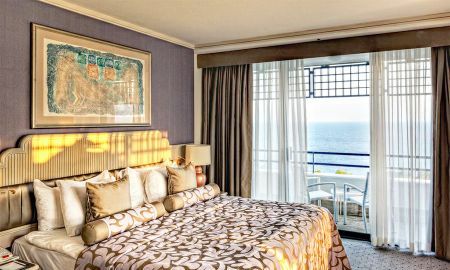 Each of the bright, rich fabric-adorned rooms at Rixos Downtown boast a private balcony with views over Antalya or the Mediterranean Sea, as well as a flat-screen TV with satellite channels and living space with settee. The Rixos Lounge features a panoramic terrace and serves fine international cuisine in its chic surroundings, while the Beach Bar&Restaurant, located on Konyaaltı Beach, offers an incredible à la carte menu. Guests can also enjoy exotic cocktails and delicious light snacks at the variety of bars at Rixos Downtown. 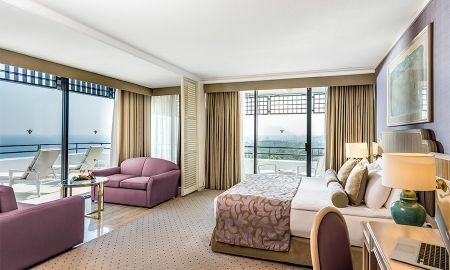 The state-of-the-art gym and tennis court are the perfect places to work out, and the spacious luxury spa complete with Turkish bath and relaxing massage treatments is the ideal spot to unwind. Rixos Downtown's tour desk is always happy to help guests choose exciting local trips and excursions, and a car rental service is available to everyone looking to explore the rest of the area. A mere 1 kilometre away from the city centre and just 20 minutes away from the airport, Rixos Downtown Antalya offers guests a unique combination of both city life and beautiful nature.